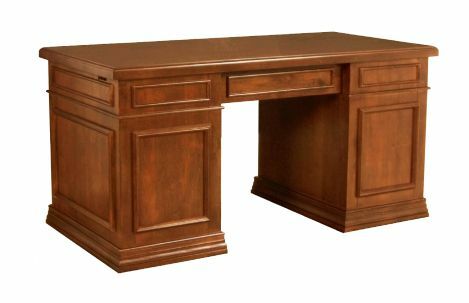 Desk is available in many wood finishes. 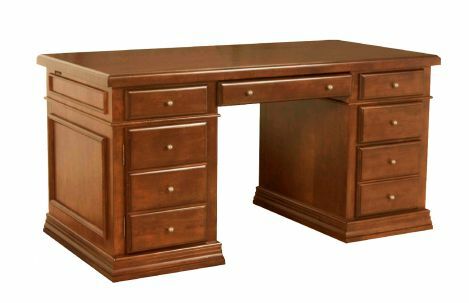 Three storage drawers, one center flip down keyboard drawer, one file drawer for letter/legal size and one door with faux drawer appearance with adjustable shelf inside. The interior has a concealed electrical route.